Many RPG campaigns inevitably have at least one session that’s more about shopping for new items and gear. Some players love it and others hate it. How important are items and associated game mechanics for them? Caleb, Jay B, and I discuss the differing philosophies of items in various RPGs, from Phoenix Command’s detailed rules to Fiasco’s non-existent rules for items. We also discuss an upcoming gear book for Red Markets, plus shout outs and anecdotes. News: Party Fowl is out! If you haven’t already got a copy of the best duck-themed social gathering board game of 2019, then get yours today! Also, I am going to Australia next month, but RPPR will still be going strong. I will be posting about my trip on Twitter and Instagram. Kingdom: A show about a zombie outbreak in medieval Korea. The Order: A show about secret society of mages fight werewolves on a college campus. The Umbrella Academy: A show based on the comic. Wes Anderson meets the X-Men. Devotion: A great horror video game about a family in Taiwan in the 80s. The BSA Red Markets campaign: Playtesting mass combat rules for Red Markets. 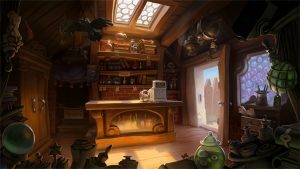 Call to Adventure: a new board game by Brotherwise Games. Review forthcoming! Velvet Buzzsaw and Blurred Lines: A movie and a documentary about the art world. One of the things that I think many RPGs don’t consider in their gear rules is how to make gear — things-that-you-have — feel different from personal abilities — things-that-you-are. D&D often has this problem: there’s not difference between getting +2 on your fireball from a fancy hat, vs. getting +2 on your fireball from you draconic bloodline or your years of wizard schooling or whatever. Gear gives stats, and abilities give stats, and rarely is there a difference in feel. Red Markets does a really great job of making gear and abilities feel very different, since the mechanics of expending charges and paying upkeep are ONLY applied to gear and never to personal skills. I like how Stars Without Number deals with gear. It’s generic but you can narratively tie it to the factions in the game that you make. Your talk about mechs makes me think about Forged in the Dark and it’s loadout mechanics and stuff. I long time ago I made a fan version of the chainssaw for RedMarkets. It had a feature called “Messy = when used on casualties everyone in meel range need to make infection checks”. Please tell me you stole “Messy”. Caleb wasn’t joking about the snake game btw. In the living campaigns, players kept characters to play at different events run by different DMs, so stuff like XP earned & magic items found or awarded had to be officially certified. So in addition to a regular character sheet, players had to keep a sheet to track modules played & XP earned; and for stuff like magic items or favours from powerful individuals & organizations there were official certificates (“Certs” in RPGA jargon) which had to have the character’s name on them and be signed by the DM who awarded them. As characters accumulated items players would accumulate certs, and shuffle through them like a hand of cards during encounters, looking for the optimum item for the challenge at hand. Some players would even organize their certs in plastic sleeves in binders, like magic players. 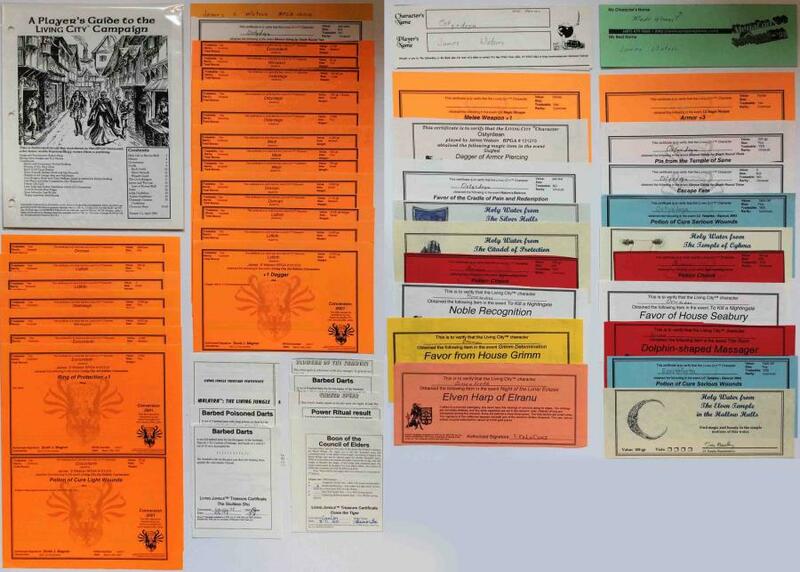 Naturally, a secondary market sprang up, with players trading certs at RPGA events (I can’t recall if there was actual buying & selling going on, though PCs could sell certs for in-campaign gold). And in that secondary market, there was of course fraud; I remember hearing about one local gamer being taken very badly at Gen Con for dozens of counterfeit certs. It occurred to me as I was reminiscing that these RPGA certs had effectively turned fictional, in-game items into concrete, real-wold items; which added a new dimension to the collecting/hoarding aspect of D&D magic items. And another thought occurred: There’s a Red Markets living campaign, right? I suppose players would have to keep track of their characters’ gear & upkeep (amongst other things) for that campaign, wouldn’t they? Anyone know how that works? I’m one of the GM/Players for the Red Markets 10k lakes living campaign. We house everyone’s character sheets in a shared Google Drive folder. So the GM can see everyone’s equipment pages when running a session. RM is a bit of a special case where hoarding toys is unequivocally bad for your health so we pretty much let people manage stuff on their own. Apparently WotC’s “Adventurer’s League” is supposed to be the successor to the RPGA, but I don’t know how they operate (I quit the RPGA sometime before 4e). But most of the folks I know from the local RPGA migrated to the “Pathfinder Society” not long after D&D4e came out. They were a fixture at local gaming cons for a while, but they seem to have gone on hiatus since Pathfinder2e was announced.